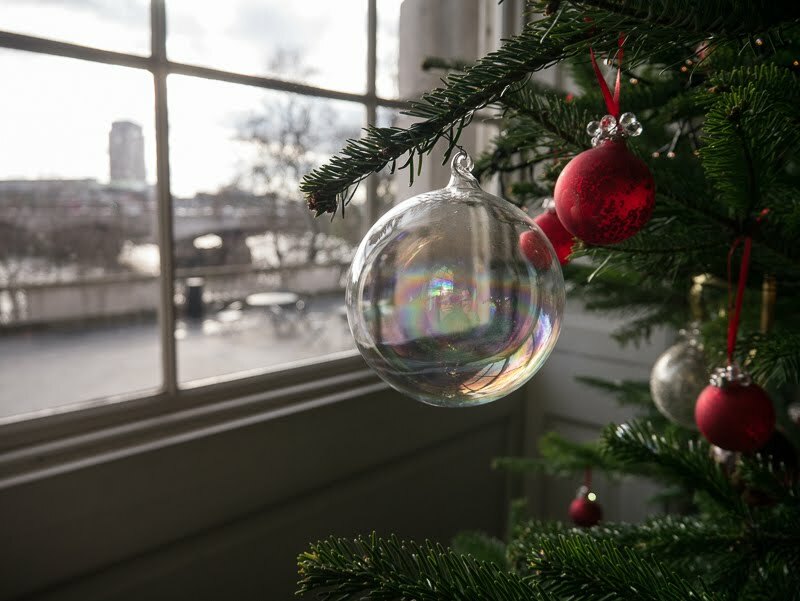 Pretty baubles on the Xmas tree inside Somerset House. Another tree that is about 10 times the size, sits in the courtyard outside, with similar decorations. So cute! I'd like to visit Valentino exhibition there. Super pretty! I love Christmas time and the decorations that go into it. It's my favorite time of year because of how beautiful everything looks! A wonderful photo, evocative of the season in lovely ways. Good photo. 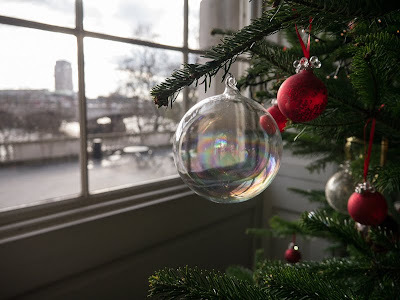 I like the glass bauble. It looks like a giant soap bubble.